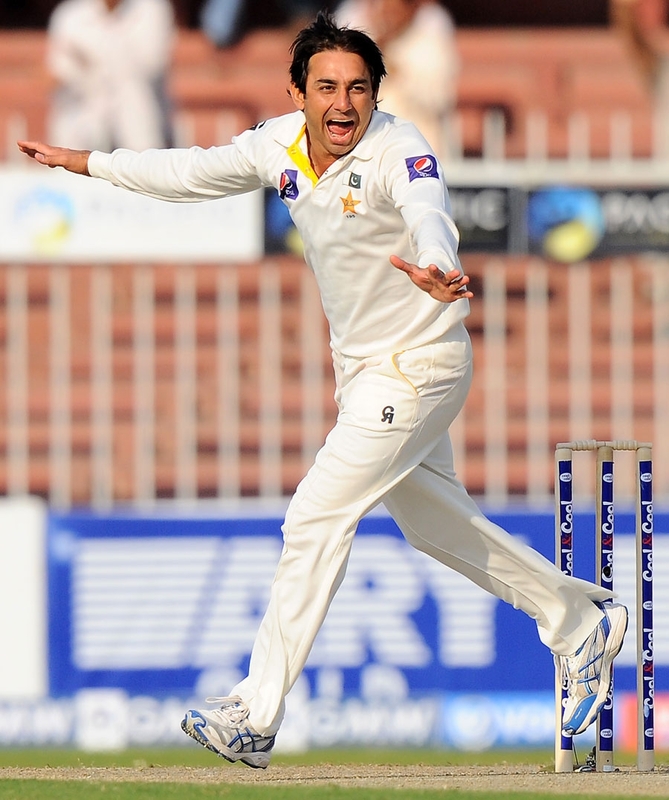 Pakistan off-spinner Saeed Ajmal picked up two wickets in the last session to restrict Sri Lanka to 220 for five wickets at stumps on the first day of the third and final Test in Sharjah on Thursday. The experienced slow bowler dismissed a well-set Mahela Jayawardene (47) with some extra spin and bounce and then baffled Dinesh Chandimal (11) with a doosra to reduce Sri Lanka to 166 for five at one stage. Captain Angelo Mathews (24) and wicketkeeper Prasanna Jayawardene (28) held firm with an unbroken sixth-wicket stand of 54 runs to deny Pakistan any further success. Ajmal was confident he had Prasanna out leg before and the umpire agreed too but the batsman reviewed the decision successfully as replays showed the ball was bouncing over the stumps.